I played with small cars as a child, so I have an affinity to the miniature automobile. 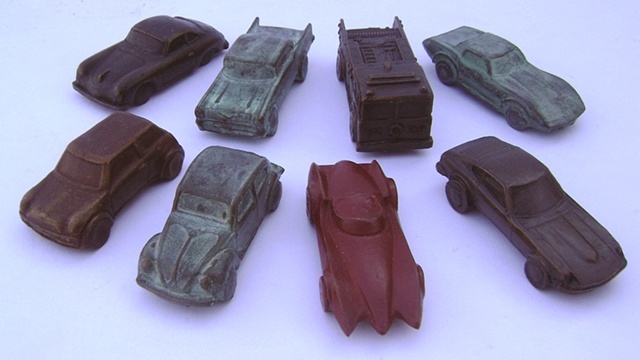 I believe these toys were my first love of driving, years before it was legal for me to take the wheel. There are currently eight variations of mini cars in the series. In the picture, clockwise from left to right: Porsche, '57 Chevy, Firetruck, Corvette, 280Z, Speed Racer, Bug, and Mini Cooper. Please Note: This model is currently discontinued.